You may have an amazing product or service to offer, a life-shifting cause for meaningful change, a powerful voice that needs to be heard. But…If your message and content strategy are unclear – unfocused – un-YOU….then you and your clients, allies, supporters, sponsors will never meet! If you’re ready to create or improve your marketing message content, let’s schedule a time to talk. … truth of the human spirit. I’m guessing you’re very passionate about the product or service you offer. If so, it’s YOUR UNIQUE VOICE that is the magic which attracts the inspiration and action you seek. 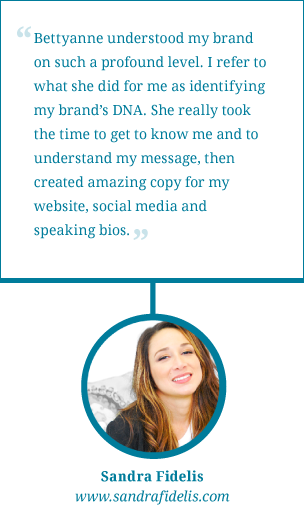 So all your marketing messages need to reflect and project YOU – your passion and your spirit. I help uncover that voice and mirror it back in a form that connects truthfully and powerfully to the people who need to hear it. … the power of words. When you really think about it, a person’s first introduction to your business is something written – your website, sales letter, brochure, blog, product description, event/meeting invite, business card, white paper … you get the idea. Your cause, the change you seek, could rest on those words! Your words determine if a person finds you credible, relatable, inspiring, trustworthy, compelling enough to continue a relationship with you. Whew! … social media marketing and the challenge of making your spirited voice heard above the noise. There’s much to learn in this ever-moving world of content marketing, online as well as offline. From my experience in communications and in marketing, I adapt core principles of good communication and human behavior to this dynamic cyber-world (no shiny new object syndrome!). … meeting you where you are on your business-building journey. I know you want to focus on growing your cause and your business, not scaling the steep learning curve of marketing content and strategy, or playing the coercive, “Mad Men” marketing game. You want meaningful change. I want meaningful change. Let’s get the message out together! If this resonates with you, let’s talk. I invite you to schedule a FREE 45-minute strategy session with me. I promise you’ll know more about how to improve your messaging than you did before the call (whether we end up working together or not) – How great is that?